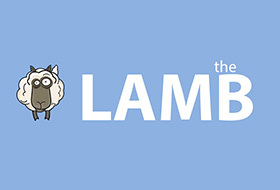 We have a few traditions here on the Lambcast, but the one that everyone (or no-one?) looks forward to the most occurs in early April, when we ditch our show regulars in favour of some more recognisable voices for a round of Celebrity Lambpardy! Today, Bubbawheat from Flights, Tights, and Movie Nights is here to look at the nominees for Best Animated Short Film. We’ve got a treat for you this week! A bumper double-bill of podcasts looking at the entire Harry Potter saga, a franchise so full of fantastical fancies that it just had to be split across two shows, and they’re not exactly short ones either! It’s here! Potentially the most ambitious movie of all time! And we did a podcast on it, just like everyone else! It’s time for everyone’s favourite time of the year, Celebrity Lambpardy! Today, Bubbawheat from Flights, Tights, and Movie Nights is here to look at this year’s animated short films. It’s been a while since we’ve done a mammoth director retrospective, covering the entire career of a director with more than a handful of films. Usually we tend to cover more prestige film-makers with mostly consistent outputs, but alas that’s not the case this week. Just because summer is over doesn’t mean we’re going to stop talking about big summer-type movies, which is exactly what we’ve got in store for you this week with the release of Kingsman: The Golden Circle. Getting suited and booted to join Jay in the discussion of Matthew Vaughn’s follow-up to the surprise 2014 hit are Rebecca Sharp, Jeanette Ward, Nikhat Zhara and Bubbawheat. It’s Movie of the Month time again on the Lambcast, and for the second time we’re talking about a James Bond movie, in this case The Spy Who Loved Me, the 10th Bond film overall and the third to star the sadly departed Sir Roger Moore. The DC Expanded Universe has been seemingly floundering for a while now, with the so-called “DC Curse” being in full effect, but that was before Diana Prince donned her battle tiara and strode onto the battlefield.